The United States has embarked on an effort that officials say is aimed at helping dissidents around the world counter censorship by repressive governments, according to a report in "The New York Times." Citing interviews, planning documents, and classified diplomatic cables, the paper says the plan "ranges in scale, cost and sophistication." But its aim, the paper says, is to "deploy 'shadow' Internet and mobile phone systems that dissidents can use to undermine repressive governments that seek to silence them by censoring or shutting down telecommunications networks." It describes a mix of technology being developed under the auspices of the United States and independent projects that have arisen as part of the global "liberation-technology movement." "The New York Times" says the plan has picked up steam since President Hosni Mubarak's ill-fated regime shut down the Internet in Egypt in the days before he was ousted in February. 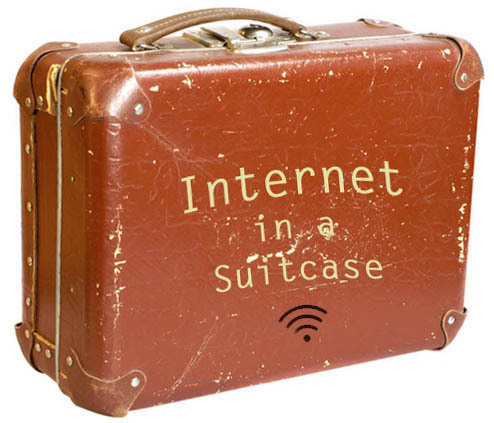 It identifies one project as "Internet in a suitcase," delivering quick wireless access to a broad area in an easily transportable manner. Another entails the creation of a parallel cell-phone network in Afghanistan to counter militants' efforts to shut down official channels of communication. The State Department is also reported to be funding new stealth wireless networks for use in countries like Iran, Syria, and Libya.